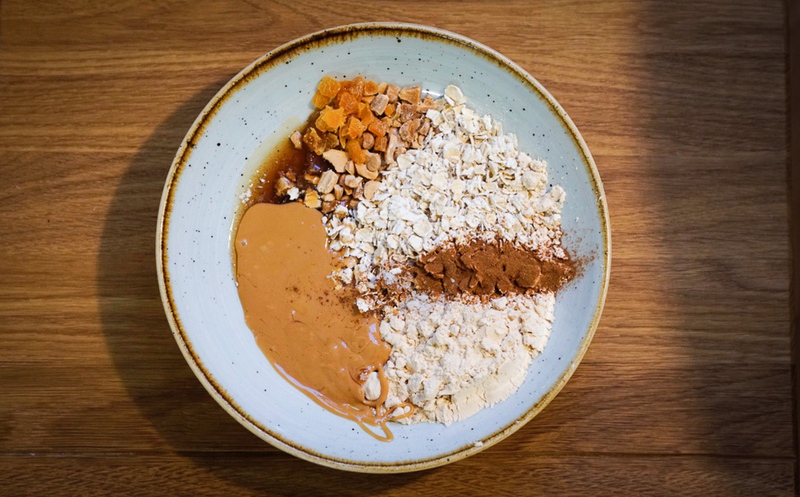 I got inspired by my friend Linda who likes to make healthy snacks from the skratch. So one day ,when I was working behind the desk in my gym Kiipeilyareena, talked about cooking (once again) and how to make bars. She told me about Steph Davis’s vegan recipe and after seeing it I wanted to try to make some energy balls by myself right away!!! Basically 50/50 of dry and moist ingredients. Then just stir and shape. For the bars I added some extras. Some of them were more chocolately with mint extract, raw cholocate nibs and cocoa. I also did some with berries and they were a little bit more coconutty. Just throw there what ever you feel like craving on or you have inside your cabinets :). For making the bars more firm and so that they would keep their shapes better in my training bag, I melted some chocolate which I poured to the bottom of the mold. You can also use a small baking tray. For taking the bars off from the mold it’s actually better to freeze them first. That helps to keep the bars and the chocolate whole! And add the spices you like! I used cinnamon which I loooove! 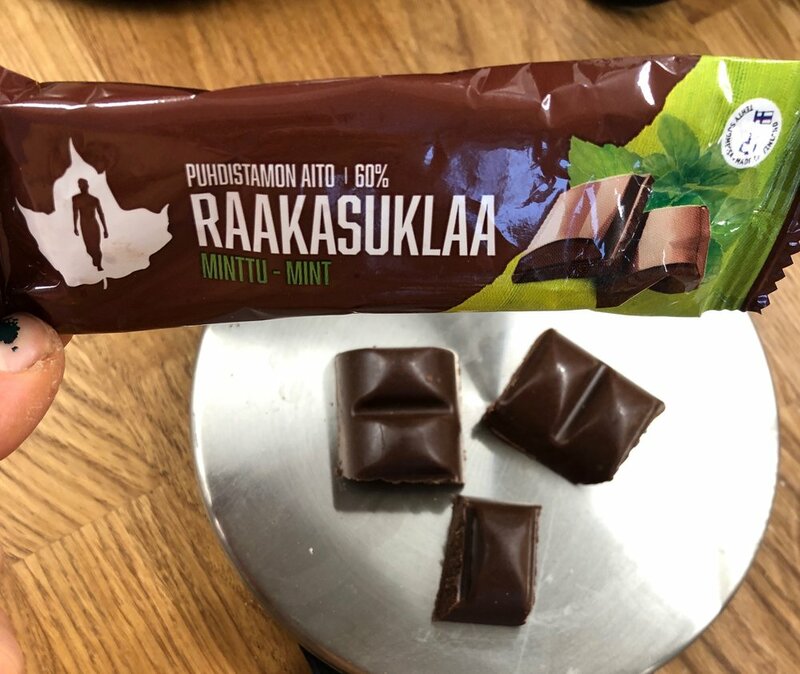 I’ve also made peanut butter which I used (of course 😉…), finnish Puhdistamo’s raw chocolate, pea protein and cocoa nibs, dried fruits, nuts and mint extract! I hope you enjoyed of making these and please feel free to give some feedback and share how yours turned out 😍 !! !